Despite all the rhetorical flourishes and grandstanding engaged in by that once august body, the U.S. Senate, when it came time for the rubber to meet the road, they voted overwhelmingly to reappoint Ben Bernanke to a second term as chairman of the Federal Reserve. Let us be clear as to what those 70 senators voted for, in deciding to support President Obama’s preference that Bernanke remain at the helm of the Fed. Failure on a monumental scale has been conspicuously rewarded. While Bernanke’s predecessor has been rightly condemned for his loose monetary polices and dogmatic conviction that unregulated market fundamentalism is always correct, the current Fed chairman has demonstrated continuity with those now discredited policies, along with a numbing myopia in failing to see a train wreck coming, despite ample warning. In October 2005 Ben Bernanke appeared before Congress, only days before being nominated to succeed Alan Greenspan. Growing concern had already emerged regarding the unsustainability of what was obviously a massive housing asset bubble, in large part facilitated by the Fed’s easy monetary policies, fully supported by Bernanke. When questioned on the perception that the residential housing market was a growing danger to the nation’s economic health, the supposedly brilliant and perceptive Ben Bernanke stated that the escalation in U.S. housing prices did not constitute an asset bubble, and was in fact based on sound economic fundamentals. In an earlier post, I described Bernanke’s statement to Congress in 2005 as the worst economic prediction in recorded history. Yet this same flawed individual has now been anointed by the U.S. Senate to have another go at deconstructing the U.S. economy. A proven failure now has another four years as head of the world’s most powerful central bank, with executive powers that in may respects exceed those of the president’s, with virtually no meaningful legislative oversight. The justification for reappointing Ben Bernanke rests on a flimsy pretext. He supposedly saved the world from a global financial meltdown after the collapse of Lehman Brothers in the fall of 2008. This ignores his conspicuous role as a principle architect of the global financial and economic crisis. In effect, he is glorified for indebting generations of Americans yet unborn for covering the costs of his colossal errors in judgement. Furthermore, the Senate has failed to take cognizance that the very debt load they salute Bernanke for creating as part of his “heroic” rescue mission has laid the seeds for a far more dangerous phase of the global economic crisis. The risk of a paralyzing sovereign debt crisis is growing, raising the threat of national insolvency. The current fiscal crisis in Greece, and the economic purgatory being experienced by the people of Iceland, are clear warning signs on the economic horizon of what lies in wait for the American people. Maintaining Bernanke as Fed chairman magnifies the risk that a sovereign debt explosion will occur, creating a whole new level of economic devastation across the United States. The lopsided vote by the U.S. Senate in favour of reappointing Ben Bernanke was a clear triumph for the disaster-prone Ben Bernanke. As for the American people, this result is nothing less than a total, unmitigated defeat. 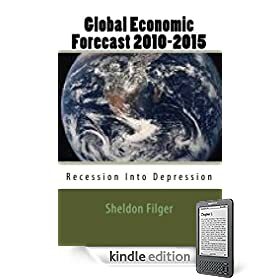 My blog readers who own an Amazon Kindle e-book reader, please be advised that you can now download my book, “Global Economic Forecast 2010-2015: Recession Into Depression.” You can find my book listed at the Amazon Kindle store. Start reading Global Economic Forecast 2010-2015 on your Kindle in under a minute. The global economic and financial crisis was unleashed when the American real estate bubble, especially in connection with sub-prime housing mortgages, burst. Among several factors that facilitated this disaster, one of the prime ones was the loose monetary policies of Ben Bernanke, chairman of the U.S. Federal Reserve. While speculation continues on the probability that the Senate will/will not reconfirm Bernanke for a second term as Fed chairman, the same level of monetary indiscipline is still in practice at the Federal Reserve, complemented by the easy fiscal polices of the Obama administration as well as Timothy Geithner`s Treasury Department. Meanwhile, signs that the real estate market in the USA remains very weak continue. A report on existing home sales has just been released, indicating that in December there was a decline of 16.7%. Sales rose in the previous three months, but that was only due to significant tax credits, courtesy of the taxpayers of tomorrow, who will be burdened with staggering levels of national debt. Using borrowed money to fund short-term gimmicks cannot provide a cure for long-term structural imbalances in the U.S. economy. Another jolt points further at commercial real estate’s accelerating descent in valuations and rising rates of foreclosure. In 2006, Tishman Speyer, a major CRE investment firm located in New York City, put together a deal with a consortium, purchasing Manhattan’s giant Stuyvesant Town and Peter Cooper Village apartment complexes from Metropolitan Life for $5.4 billion, the largest real estate deal at the time of its consummation. Over the weekend, Tishman Speyer went into default on the property, handing it over to its creditors. The number of investment interests that have lost money on this deal ranges far and wide, not only in the United States but across the globe. Among the losers is the Church of England, which has just seen £40million go down the proverbial rat hole. In October, the Fitch ratings agency valued Tishman Speyer’s original $5.4 billion property as having a current value of a mere $1.8 billion. This represents a loss of two thirds in valuation in less than four years, a metaphor I should say for the entire U.S. residential and now commercial real estate casino marketplace. It is the third week of January, 2010 and the FDIC has already shut down 9 insolvent banks. True to form, these bank closures are typically announced on Friday nights, with the expectation that the weekend will allow only limited news coverage. Nevertheless, this attempt by the FDIC to manage the news and limit media exposure cannot disguise the fact that the American banking system enters 2010 in a state of acute fragility. The seventh bank of 2010 to be shuttered was the Charter Bank in Santa Fe, the first bank in New Mexico to be closed in more than 10 years. Other bank closings occurred in Oregon, Washington, Florida, Missouri and Minnesota. All in all, not an auspicious beginning to 2010, the year that the Obama administration predicted would show strong economic growth and the emergence of the U.S. from recession and job losses. With TARP, the Federal Reserve discount window and FASB rule changes that allow inflated valuations of toxic assets sitting on bank balance sheets, it takes a real act of heroism for an American bank to post a quarterly loss. However, in the last quarter of 2009 two banks from the U.S. government’s list of “too big to fail” institutions earned that dubious distinction. 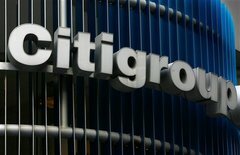 Bank of America posted a Q4 loss of $5.2 billion, while Citigroup lost $7.6 billion. Both banks had their own list of excuses and spin to explain the red ink, including in the case of Bank of America the paying back of its TARP funds (a decision which seemed motivated by the primary purpose of removing government restraints on executive compensation and bonuses). Nevertheless, these numbers, glaringly bad despite unprecedented taxpayer assistance and accounting rule modifications designed to manufacture profitability out of thin air, are a clear reminder than in truth, much of the U.S. banking system remains mired in deep crisis, and confronting functional insolvency. In the last 100 years, encountering a year in which the U.S. federal government has achieved a balanced budget has been as rare as the chance that Vladimir and Estragon will actually meet Godot. As with most Western economies as well as Japan, fiscal deficits by sovereign governments have become so normative that a term has long been in vogue to describe this phenomenon, the co-called “structural deficit.” But all that was prior to the onset of the global financial and economic crisis, which erupted in 2008 with the collapse of Lehman Brothers. We are all now in new territory, never before encountered by sovereign governments on such a prolific scale. Welcome to the era of the structural mega-deficit. In compiling data for my new book, “Global Economic Forecast 2010-2015: Recession Into Depression” (http://www.createspace.com/3403422), I recognized that the size of current and projected fiscal deficits for the United States and other advanced and major economies was so much greater than typical structural deficits, a new terminology was required. The term I have adopted in my report, “structural mega-deficit,” implies a whole new and unprecedented reality for public financing. In essence, a deficit which approaches or exceeds 10% of a national economy’s GDP, and has an aspect of permanence similar to previously tolerated structural deficits, has entered the fiscally turbulent terrain of structural mega-deficits. As with private consumers, sovereign economic policymakers have become addicted to debt, nowhere more so than in the United States, Western Europe and Japan. For example, when the Eurozone was established with a single currency, participants were expected to show “prudent” fiscal management of the public finances, by ensuring that their national deficits did not exceed 3% of national GDP. Heaven forbid a balanced budget had even been suggested as an ideal target. Now, however, even the Eurozone’s supposedly responsible 3% cap on annual deficit to GDP ratios is coming apart at the seams, witnessed most recently by the fiscal crisis in Greece, where the current budget deficit is expected to reach 12.7% of that nation’s GDP. It is the United States, however, where the emergence of the structural mega-deficit reaps the most tangible dangers for the global economy. In the past, key economic policymakers throughout the world maintained that a structural deficit of around 3% of GDP could be easily sustained as long as the national economy produced a modest level of growth. However, there exists no mathematical models that demonstrate how any nation’s economy, including that of the U.S., can sustain structural mega-deficits. With the official U.S. deficit for the 2009 fiscal year having reached 10% of GDP and the 2010 federal budget likely to produce a deficit in the range of $1.5 trillion, America’s public finances are clearly in a debt trap that is unsustainable by any logical measure. The Congressional Budget Office projects a cumulative deficit of $9 trillion over the next decade; based on the CBO’s track record, the actual deficit is likely to be much worse. One of the strange paradoxes for the U.S. economy is that in 2009, even with a tripling of the national deficit, the annual payment by the federal government for interest on the national debt was actually lower than the prior year. This was due to the unique and anomalous conjunction of much of America’s national debt being financed by short-term Treasuries with historically low interest rates established by the Federal Reserve. However, with growing doubts on the part of foreign lenders as to the long-term credit worthiness of the United States, it is inevitable that the days when much of America’s growing debt load could be financed at almost zero interest rates will soon end. With the public debt of the United States based on an average turnover for refinancing of four years, the shortest timeframe of any large indebted economy, a spike in bond yields will add potentially hundreds of billions of dollars to the annual U.S. deficit. A time may not be far off when current taxes and other federal government revenue will cover less than half of the annual expenditures of the federal government. All this will be occurring as outlays for Social Security and Medicare begin to exceed revenues, adding further to the structural mega-deficit, and at a rate that will become increasingly voracious. The ultimate tragedy about the present and future danger of structural mega-deficits in the United States and other major economies is that this is an impending train wreck that can be viewed from a great distance before its catastrophic impact. Yet, in spite of the clear and obvious unsustainability of structural mega-deficits, with very few exceptions the political leadership in the United States, in both the Democratic and Republican parties, is conspicuously silent. Germany’s Federal Statistics Office is reporting that the global economic crisis led to a contraction of 5% in the nation’s GDP during 2009. This was by far the worst drop in economic output experienced by Germany since the end of World War II. Major factors in the decline were a sharp falloff in exports due to the collapse in global trade and the constriction of investment activity. Berlin is projecting growth of up to 1.5% in 2010. Even if this figure holds true, this will still represent a significant long-term contraction in national GDP from peak potential. More importantly, whatever tepid GDP expansion that is occurring is due almost entirely to government stimulus spending. Any trimming of the government’s fiscal pump-priming may send the German economy back into a steep recession. As Germany is the center of economic gravity for the Eurozone, its economic afflictions will undoubtedly impact every other European economy in significant ways. The global economic crisis has already inflicted crippling blows on major advanced and emerging economies. Only massive levels of public indebtedness, and wanton quantitative easing by central banks, has prevented (temporarily, in my view) the onset of another Great Depression. However, geopolitical events of an unpredictable nature can upset even the best laid plains of a Ben Bernanke, Timothy Geithner and their counterparts across the globe. 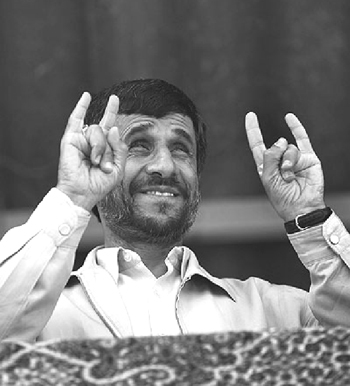 The wild card in the mix is undoubtedly Iran. I have commented before on the Iranian nuclear program, and the possibility of an Israeli pre-emptive strike on Tehran’s nuclear facilities. I’ll repeat my earlier conclusion, which is, apart from the demerits or merits of using military means to address the Iranian nuclear challenge, the inevitable response by Iran’s regime will create economic havoc, particularly with respect to oil prices. The current issue of The Economist has an illuminating piece, entitled “The gathering storm,” which makes a persuasive case for 2010 being the year that something definitive will happen on the Iranian nuclear front. Should that prove to be the case, the resulting geopolitical reverberations may be the final nail in the coffin of the global economy. Worst case scenario: regional war in the Middle East, massive disruption of oil shipments from the Persian Gulf, resulting in a severe global economic depression. Not even money-printer Ben Bernanke will be able to dodge that bullet. An extraordinary development is occurring in the tiny island nation of Iceland. The first sovereign casualty of the financial Tsunami that occurred during the onset of the global economic crisis in 2008, Iceland underwent a fiscal meltdown and currency collapse when its 3 largest banks became insolvent. A neo-liberal government allowed Iceland’s financial industry to go global amid an environment of deregulation. The result was that Icelandic banks held more deposits from foreigners than from the nation’s citizens. When the global economy went into a nosedive, the three banks were rendered utterly insolvent, with liabilities exceeding the GDP of Iceland by a multiple of ten. The national currency, the krona, collapsed. The government was forced to nationalize the three banks, go to the IMF for emergency loans, then resign as the population of Iceland erupted in a massive display of civil disobedience. A new government came to power, seeking to responsibly cope with the profound financial disaster that has engulfed Iceland. However, the governments of the UK and the Netherlands, which had reimbursed citizens who lost their deposits in the Landsbanki, which had enticed them with above market interest rates through a program known as Icesave, demanded that Iceland assume full financial liability and pay back those governments. Desperate to enter the European Union and receive additional IMF help, the government in Reykjavik felt it had no choice but to a agree to compensate London and the Hague, to the tune of $6 billion, payable over 15 years. This would mean that every one of Iceland’s 300,000 souls would be responsible for paying the British and Dutch governments $20,000. The Icelandic government has told its citizens that there is no choice; either abide by the agreement or accept isolation from the global financial system, junk bond status in sovereign debt markets and a termination in loans from the IMF. The citizens of Iceland have reacted with a petition containing the names of 25% of the nation’s registered voters, opposing the agreement. In response, Icelandic President Ólafur Ragnar Grímsson announced that he would not sign the agreement as approved by the nation’s parliament, and would instead call for a national referendum. Current projections are that 70% of the voters would reject the agreement. What is now occurring in Iceland is a foretaste of what may become more common throughout the developed world. Taxpayers have been told by policymakers that they must bear the financial costs of failed decisions made by private business, no matter how steep the price, or accept even more horrendous economic consequences. For the first time, an aroused public in at least one country has rejected the dictates being imposed by the political establishment. 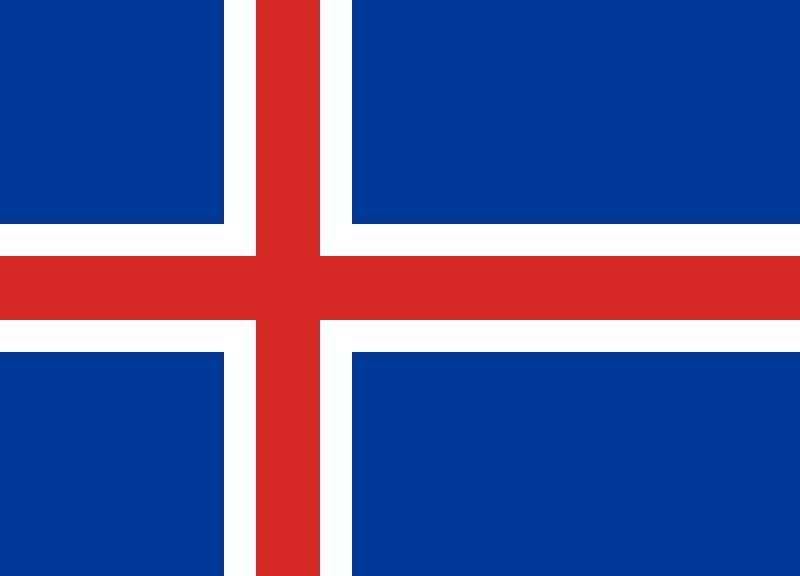 No wonder that the Dutch and British governments reacted so swiftly with a condemnation of Iceland’s citizens for having the audacity to think they have the right to exercise their democratic rights in deciding for themselves what is in the best economic interests of their nation. As the global economic crisis continues, leading to more private business failures and demands by policymakers that taxpayers fund ever-larger bailouts, look for other aroused publics following in the footsteps of Iceland’s angry citizenry. * The transitional period will endure for 18-24 months, concluding with a severe public debt crisis in major advanced economies, in particular the United States and the UK. The onset of this catastrophic fiscal crisis will mark the next stage in the global economic crisis, leading to a synchronized global depression.